Firefighters for Christ in Northern Ireland have been involved with supporting the Ugandan Fire and Police Department for a number of years now. It started when Paul Thomas - founder of Tŷ Cariad Africa and a retired Welsh firefighter - was asked in 2010 by the Ugandan Fire Chief if he knew of anyone who could help his Fire Service. Paul suggested Firefighters for Christ Northern Ireland, and consequently, The Ugandan Fire Chief sent them an email. 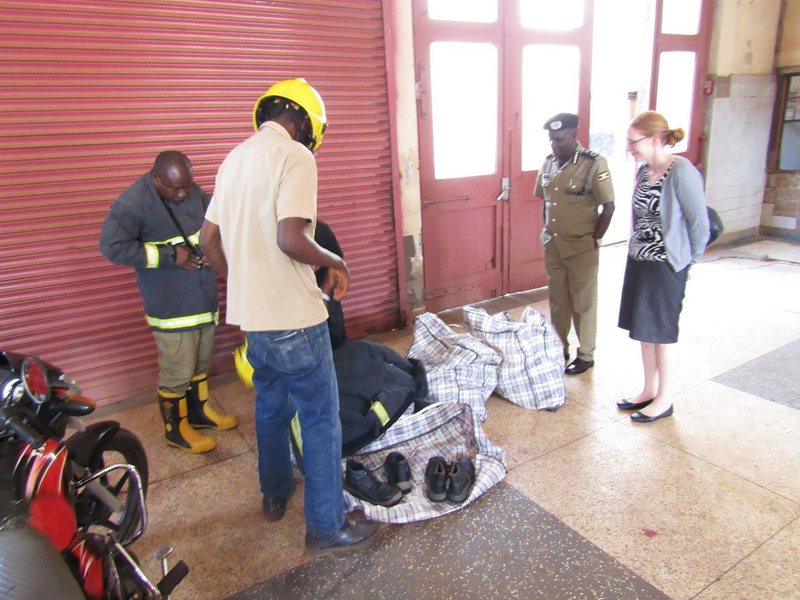 Firefighters for Christ Northern Ireland responded by sending firefighters Phil Scott and Paddy Quinn to the Clock Tower Fire Station in Kampala to gather information about the needs of the Ugandan Fire Service, and where they might be able to help. Phil and Paddy’s fact finding mission found many areas of need, one being the need for full Firefighting Personnel Protection Uniform (PPE), consisting of trousers, tunics, helmets and boots. At the time Northern Ireland Fire & Rescue Service (NIFRS) were in the process of getting new uniforms, and were hopeful that a request for the old firefighting uniforms would be successful, but unfortunately this did not prove to be the case. In fact, it was some years later, in 2015, before the search for uniforms were successful. Firefighters for Christ Northern Ireland had sent their first team to train Ugandan firefighters in 2013, and a second team in 2015, but without the much needed firefighting uniforms. One member of the 2015 team - Aaron McAuley, a Belfast International Airport Fire Fighter - asked his employer if they would be willing to donate uniforms to the Ugandan Fire Service. They said they would, and Aaron took a sample to Uganda to get the Fire Chief’s approval. On the team's return to Northern Ireland, they looked for a way of getting the firefighting uniforms to Uganda. This proved to be more difficult than they had hoped. In the meantime, George Best Belfast City Airport also donated uniforms to the Ugandan Fire Service. There were now approximately 140 fire kits, but no way to get them to Uganda. At a Firefighters for Christ (N.I.) team meeting in March 2018, it was agreed that they needed to explore ways of getting the uniforms to where they were needed, and the very next day, Abaana Ministries based in Northern Ireland offered to help. Not only did they help with the carriage of the uniforms to Uganda, they also donated 100 pairs of boots which were desperately needed. All the uniforms left for Uganda In April 2018, and took 12 weeks by sea and land to get to Uganda, with several more weeks before they were released from customs. 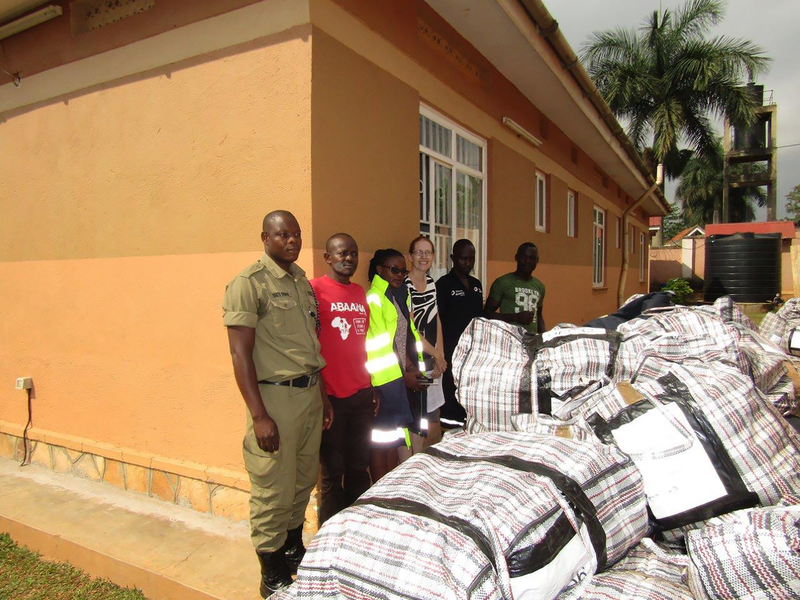 The uniforms – trousers, tunics, helmets and boots - were then handed over to a delighted Uganda Fire Service. Special thanks go to Chief Fire Office Seamus MacMahon of George Best Belfast City Airport, Chief Fire Officer Mark Bothwell of Belfast International Airport, and Scott Baxter of Abaana Ministries. Their help has been invaluable, and the impact that this equipment will make to the firefighters of Uganda and people who need their services, is immeasurable.